Here is another shot from this year's Flower and Garden Festival. 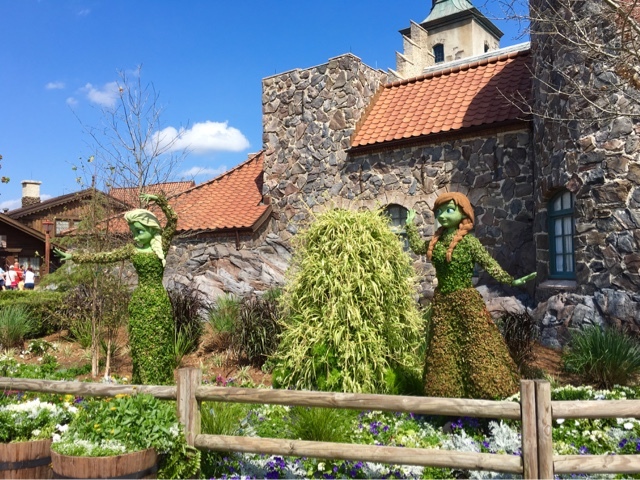 In the past, the Anna and Elsa topiaries were at the entrance to World Showcase. However, with the Frozen makeover happening in Norway, it makes sense for them to be in this area.